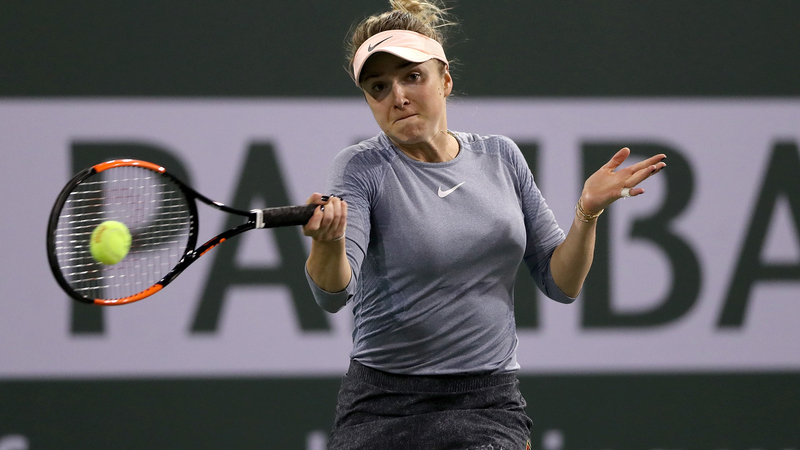 Elina Svitolina and Garbine Muguruza suffered surprise second-round losses at the Miami Open as most of the big names advanced on Friday. Svitolina bowed out at the hands of Wang Yafan at the WTA Premier event, while Muguruza lost to Monica Niculescu. But the majority of the big guns got the job done at what has been a rain-hit tournament. Serena Williams, Naomi Osaka, Caroline Wozniacki and Angelique Kerber were among the winners. The sixth seed, Svitolina was no match for Wang, suffering a 6-2 6-4 defeat. The Ukrainian was one of 10 seeds to fall, with Muguruza also losing, going down to qualifier Niculescu 7-6 (7-0) 4-6 6-2. They were the two biggest casualties, although the likes of Aryna Sabalenka, Belinda Bencic and last year's runner-up Jelena Ostapenko also departed. Williams was a last-32 loser at Indian Wells, but the 23-time grand slam champion avoided an early exit in Miami. A record eight-time champion of the event, Williams eventually got past Rebecca Peterson 6-3 1-6 6-1. World number one Osaka was also pushed to three sets before beating Yanina Wickmayer 6-0 6-7 (3-7) 6-1. Along with Williams and Osaka, the likes of Kerber, Wozniacki, Simona Halep, Karolina Pliskova, Sloane Stephens, Venus Williams and Bianca Andreescu advanced. Defending champion Stephens was comfortable in a 6-2 6-3 thrashing of Ons Jabeur. Venus, a three-time winner in Miami, was too good for Carla Suarez Navarro 7-6 (7-4) 6-1 and Indian Wells champion Andreescu powered past Sofia Kenin 6-3 6-3. In a repeat of the Indian Wells final, Andreescu will meet Kerber, who got past qualifier Karolina Muchova 3-6 6-3 6-3.